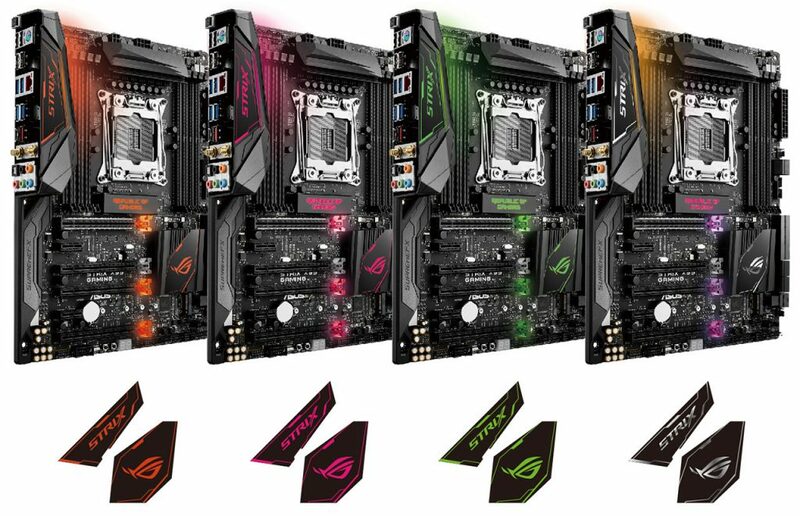 ASUS and Republic of Gamers (ROG) today announced ASUS Signature X99-Deluxe II, X99-A II and X99-E, and ROG Strix X99 Gaming from the latest lineup of ROG Strix series – all-new four ATX motherboards based on the Intel X99 chipset and loaded with exclusive technologies to maximize the potential of the latest LGA 2011-3 Intel Core i7 X-series processors. 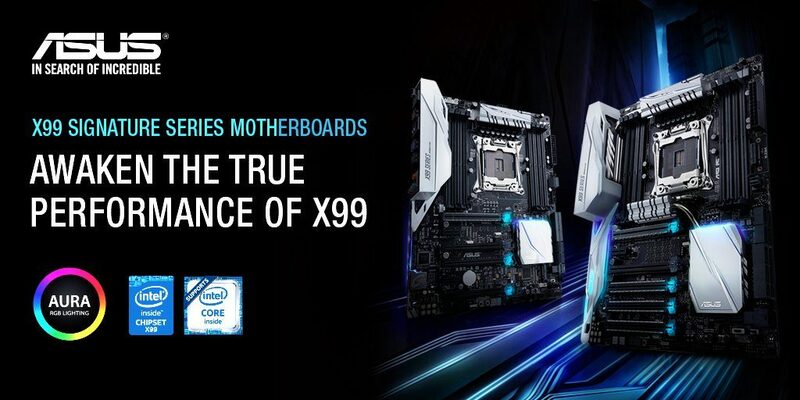 The best-selling and award-winning ASUS X99 Signature motherboard range returns to push the boundaries of PC hardware beyond the accepted limits, while adding many new features and technologies to elevate both performance and aesthetics – enabling PC-builders to create custom rigs on the finest foundations. The new boards also feature ASUS Aura, with onboard RGB lighting and a 4-pin LED-strip header to create stunning illumination effects – all easily synced with an ever-growing portfolio of Aura-capable ASUS hardware. 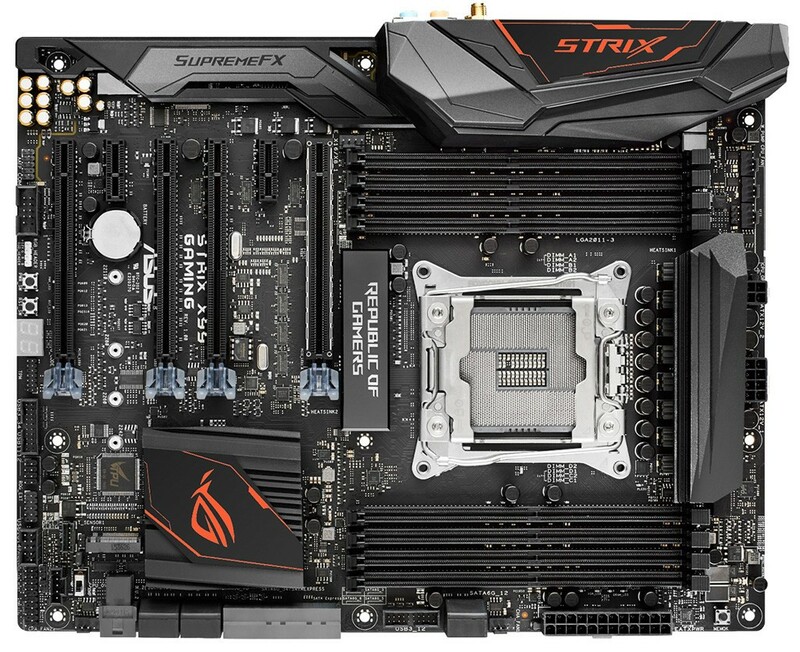 ROG Strix is the newest recruit into the Republic of Gamers – and ROG Strix X99 Gaming is the first ROG Strix motherboard. ROG Strix X99 Gaming delivers premier performance, innovation, and confident dynamism to release the gamer’s inner rebel, with a bold design and bright, customizable colors that channel the spirit of fierce individualism. 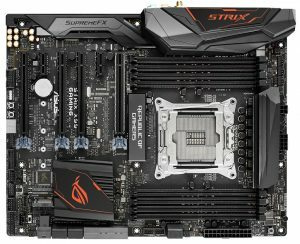 ROG Strix X99 Gaming is made for gaming with SupremeFX, Sonic Radar II, Intel Ethernet, and GameFirst technologies. Shielded SupremeFX delivers flawless high-fidelity audio with a remarkable 115dB signal-to-noise ratio (SNR), so only the very best is heard on gaming headsets or speakers. Sonic Radar II displays a stealthy overlay that shows what opponents and teammates are up to on the battlefield, while tournament-level Intel Gigabit Ethernet has the serious double advantage of reducing CPU overhead and offering exceptionally high TCP and UDP throughput, significantly reducing the processor’s workload to free up power for the game. The all-new GameFirst IV optimizes network traffic for faster, lag-free online gaming – helping gamers dominate with epic speed and agility. 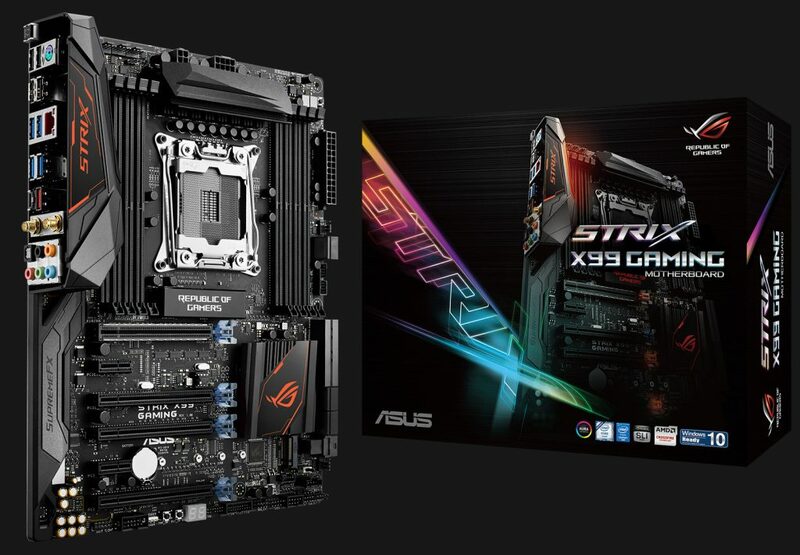 Gamer’s Guardian offers real-world protection for ROG Strix X99 builds, including the all-new ASUS SafeSlot and loads of brilliant defenses, highly-durable components and smart DIY features. 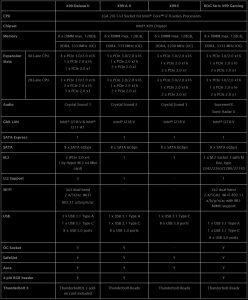 ROG Strix X99 also delivers great data transfers, with onboard U.2, USB 3.1 Type-A and C, M.2, 2×2 Wi-Fi with MU-MIMO. Uniquely-intelligent RAMCache technology effectively caches an entire storage device to launch favorite games and apps at breakneck speeds. 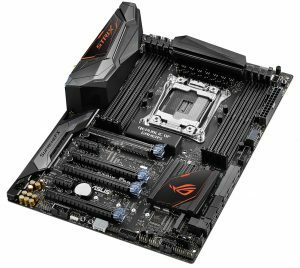 The new ASUS Signature X99-Deluxe II, X99-A II, X99-E and ROG Strix X99 Gaming motherboards all support ThunderboltEX 3, an Intel-certified Thunderbolt 3 card that enables breathtaking bi-directional speeds up to 40Gbps – four-times faster than other PC data-transfer cables with twice the video bandwidth for the latest 60Hz 4K UHD displays. Thunderbolt 3 also supports daisy-chaining of up to six devices, and has a reversible Type-C connector for compatibility with the latest USB 3.1 Type-C devices. It also supports the USB Power Delivery specification for fast, high-power charging of up to 36W. 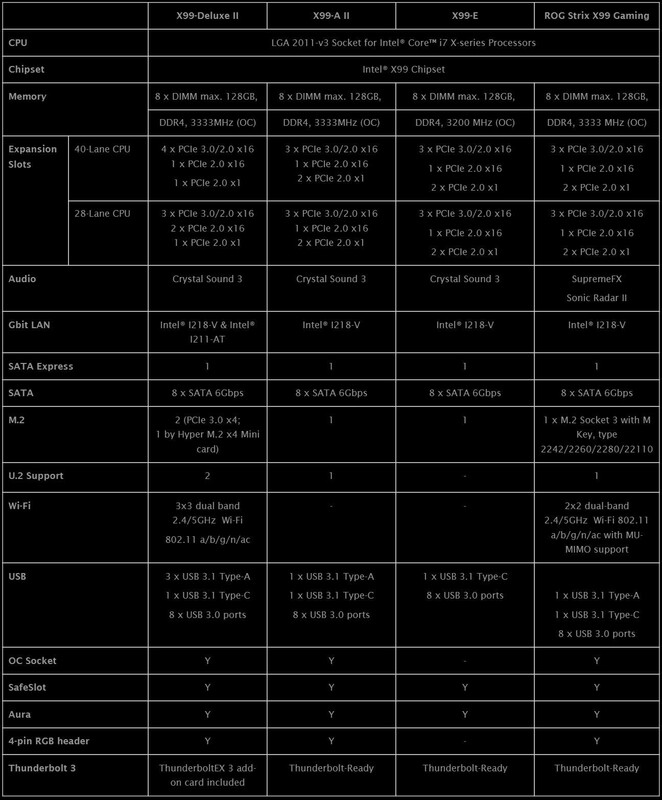 ThunderboltEX 3 is included with X99-Deluxe II.